Promotion extended until July 14th. You still have time to order your silhouette bundle!! 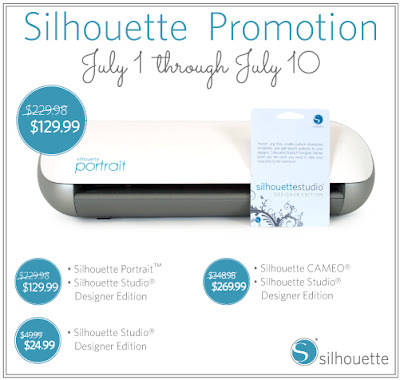 I am very excited to be sharing a promotion from Silhouette America that you are going to love. From July 1st through July 10th you can get at Silhouette Portrait or Cameo, including the Design edition program at a great discount. I myself have the Cameo and am in love. 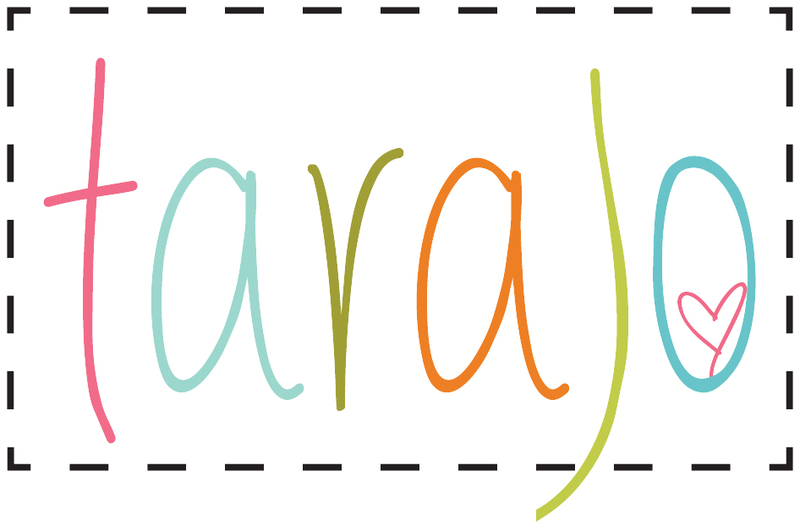 I made a fun project below that you will want to check out. But first, check out the deals you can get. You can click on the photos below to go directly to the promotions to buy one now. The Portrait and the Cameo are so fun to use and so very easy. But there is something pretty cool about getting to use your own designs. 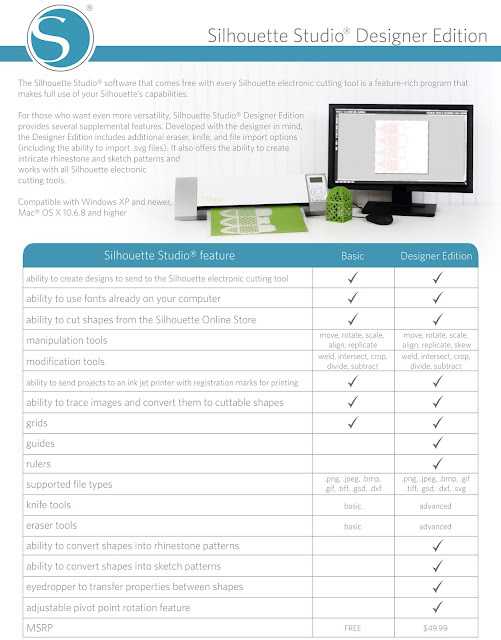 That is what I love about my upgrade to the Silhouette Studio Design Edition. Check out what I made with my Silhouette Design Software and Cameo. It was so easy and fun for me and all my girls. 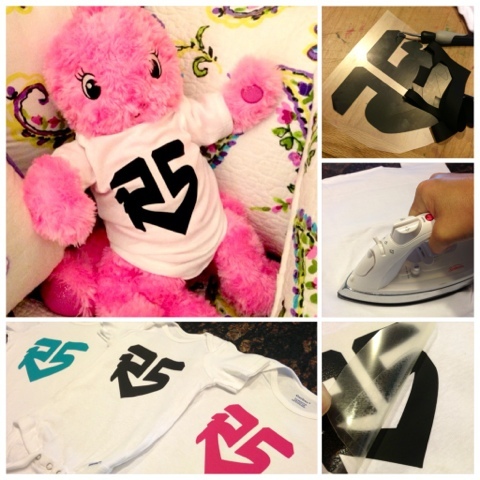 They LOVE the band R5 and wanted something special made just for them. 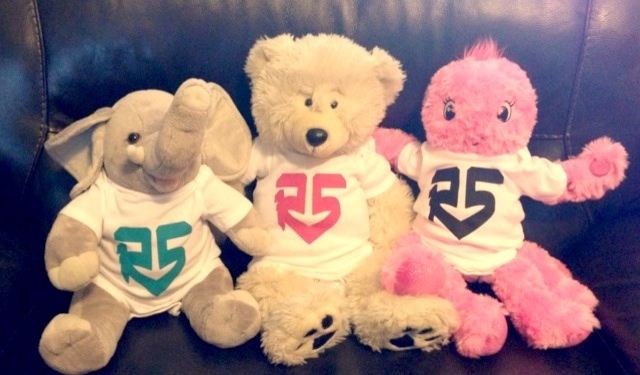 So with my program, I made the R5 logo, bought some silhouette heat transfer material, onesies and made these cute clothes for the girls stuffed animals. Using the Cameo and Program was quick for this project. All I did was load the logo in to my library as a cut project. 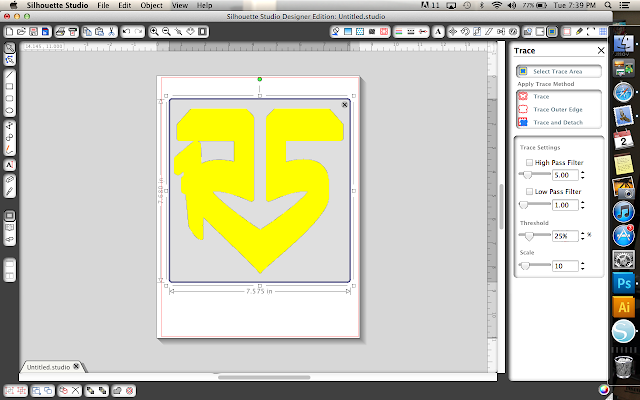 Next I opened it and used the Trace Tool. 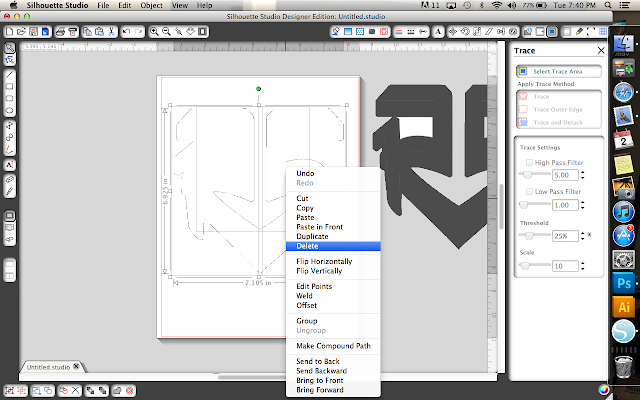 First I selected the logo, changed the threshold to how I liked. Then I moved my image over and deleted the excess lines. Next I used the Trace and Detach tool to get my image ready to cut. Follow the simple directions and soon you will have the image cut and ready to use. Once I had my image cut, I cut it out with scissors, used my Silhouette Hook tool to remove the excess material. Place it on your shirt and cover with a thin clothe. Iron for 60 second. Let cool and peel away the plastic. Your shirt is now ready to enjoy. Didn't they turn out cute?!? Here is a Youtube Video you can check out to also see how to use the machine and heat transfer material. I am visual, so seeing it may help you too. Visit HERE or the direct link below to get yours ordered today! Thanks for stopping by to read along today. Remember the Promotion ends July 14th! !